There's nothing quite like the look of natural stone that has been quarried and cut to fit beautifully into your home. such as selected river rock, fieldstone or flagstone. natural stone is perfect for a number of projects around the house - from stepping stones and outdoor columns to fireplaces and interior walls Building with rock and stone is what we are all about. Our stone work consists of Veneers, Foundations, Chimneys, Retaining Walls, Building Stone, Veneer Stone, and much more, for a custom design that will fit your need and lifestyle. 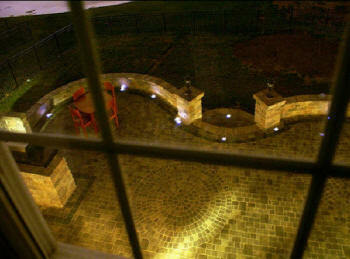 We are experts in the field of Landscaping and Rock work. If you have a vision of what you want, tell us about it. Do you have a masonry idea? We do all types of custom masonry construction.- chimneys, brick block-Repair Remodels We also do remodels, upgrades Design Work We also offer limited design work for your masonry projects. Restoration Work New to historical. 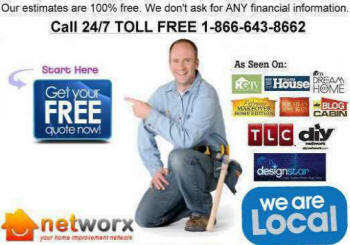 Mason, Brick, Mason, Masonry Repair. Because the medium of masonry is so expressive, ten different stone masons will produce 10 different walls with exactly the same material. Most stone masons have the hearts of artists and express themselves in their individual stylistic vocabulary. Because of the volume and variety of work we produce, our masons are versed in a large variety of styles. Let us find the right vernacular for your material and your site. Building sample walls with the aid of our extensive library of masonry imagery, we will help you evolve the aesthetic of the masonry in your project. We recognize the expressive potential of masonry as an artistic medium. Our goal is to fulfill masonry’s traditional place in architecture while moving the medium into sculpture. We also recognize the creative power that can be unleashed through collaborating with the project owner, architect, interior designers, artists and landscape architects. Beyond our skill with the tools of the trade, our ability to assemble a team of creative minds informs our greatest strength: design consensus supporting both function and art. Due to the huge variety of the work we install, our masons are expert in all the masonry media. Whether your project is in granite, cut limestone, precast concrete or even brick, we have the craftsmen and the knowledge to make sure your installation is flawless. They do all my hardsape work. Masonry offers a full range of professional design services. Many architects that we work with turn over all the masonry detailing for our design and drafting. With the increasing technical and structural requirements, masonry design has become much more involved and specialized. Our firm is uniquely positioned to develop innovative solutions to the most technically demanding masonry problems. Many of our most successful projects have been commissioned works. Typically a client approaches us with the desire for a unique piece but may have only a vague understanding of its function or scope. Similar in many ways to traditional sculptural commissions, the proposed work is a unique piece developed specifically for that client and that specific function. At its most basic level, the work may be a fireplace, fountain or courtyard paving; but that is only the beginning. From utility we springboard to creative expression. It is this expansion into larger themes that wins praise for many our company’s projects as works of art. All of these fireplaces are in the European Rumford style. They produce approximately 30-35% more heat than a standard American fireplace. All of these fireplaces are constructed with stone firebox liners and demonstrate complex patterning which wraps three-dimensionally as the firebox angles change. Due to the unique draw of a properly built Rumford-style box, the smoke only blackens the back wall of the fireplace leaving the sides as an innovative new canvas for masonry embellishment. The Rumford style affords a unique opportunity to integrate the decorative elements into the firebox itself. Finding the right material for your project can be a daunting and exhausting process. We are often hired to facilitate and manage this process. With our vast knowledge of quarrying as well as strategic alliances. we can often locate materials which have not been previously considered. Many of our most successful projects involve masonry materials that have never been used in that geographic area or involve innovative treatments of more commonly considered materials. It is our experience that the cost of the national stone search often is reclaimed in the first load of stone since we most often order directly from the quarry. Our work is characterized by fine craftsmanship and attention to detail. All of the fireplaces pictured here are one-of-a-kind works of art developed in collaboration with the other members of the design team. One of our strengths is in the synthesis of design elements. With our understanding of the masonry medium we can help the project team create work that fully supports the architecture or landscape.